I read a great book the other day ... a novel ... The End of Mr. Y by Scarlett Thomas. The author writes, in the words of her protagonist: Everything in the known universe is made of quarks and electrons. You're made of the same stuff I'm made of, and the same stuff the snow is made of, and the same stuff this stone is made of. It's just different combinations. 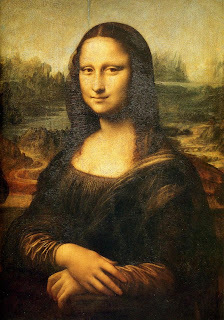 Under a powerful enough microscope, [a] urinal and the Mona Lisa would look identical. And that is my last post - my last message - for this year we've known as 2008: we are all one ... it's just different combinations.